The Chinese Aerobatic Team to perform in Dubai for the first time confirming the increase in China's cooperation with foreign countries. 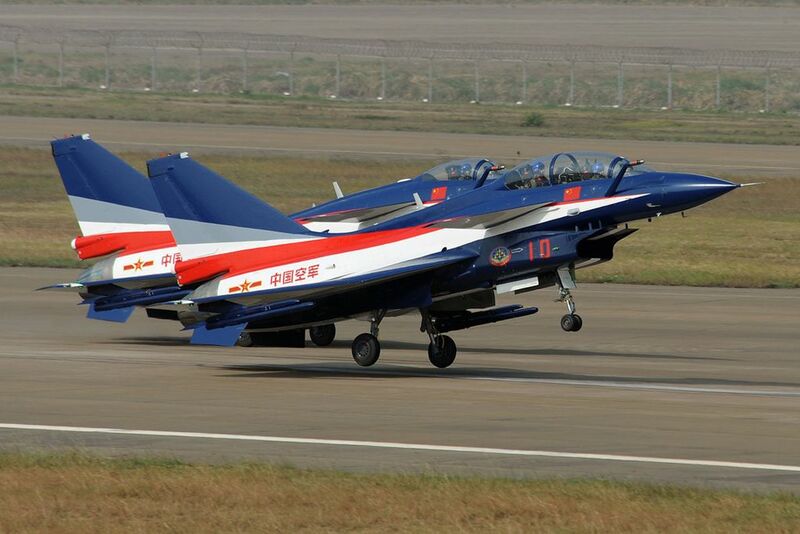 The Chinese Air Force's August 1st Aerobatic Team to perform during the Dubai Airshow for the first time ever. During the five-day event the Team to close the daily flight schedule with its powerful display. The presence of the August 1st has attracted much interest in the media and aviation enthusiasts, it has been confirmed as one of the highlights of this edition. Consists of seven J-10 fighter jets (including a spare), and two IL-76 transport aircraft to refuel for the J-10s, the Chinese team to perform 19 routines at the flying display of the airshow. "This is the fourth time that we will be performing outside of China," Cao Zhenzhong, captain of the team told Xinhua after the last test flight on Saturday. "Although it is challenging to fly under the high temperature of the desert area, we are confident to accomplish the task with flying colors." Shen Jinke, spokesman of the PLA Air Force, said the air force is ready for pragmatic exchange and cooperation in more fields and many levels with air forces of other countries and to make new contributions to peace and development, Xinhua reported. The team will visit Pakistan after the Dubai Airshow and stage aerobatic performances there on November 20, according to the Chinese People's Liberation Army Air Force.